Getting sick is never convenient. Getting better can be. Seeing a great physician is now easier than ever. Our Paramus and Fort Lee offices are conveniently located and have appointment times available. Our physicians are board certified in internal medicine and we have certified acupuncturists on site. They are all supported by the comprehensive, award-winning services of Holy Name Medical Center. A name you can trust, close to home — it's that simple. Holy Name Medical Partners includes internal medicine physicians who provide skilled care in diagnosing and treating patients from diverse backgrounds and cultures. Their expertise stretches from preventive practice to severe and complex illnesses, with special skills in diagnosing and treating chronic conditions and disease prevention. When needed, they also coordinate care among different specialists for patients who need those services. Dr. Yulong Yang is a highly qualified internist and primary care doctor who works out of offices in Ft. Lee and Paramus. 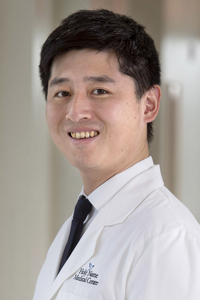 Dr. Yang earned his degree in medicine from the Faculty of Medicine, University of Tokyo. He then moved to the United States, where he completed his internship and residency at Mount Sinai Medical Center. Dr. Yang is also fluent in Chinese and Japanese. Dr. Sohee Bidol-Lee is a dedicated and engaged internist with an office in Paramus, NJ. 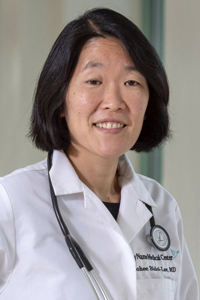 Dr. Bidol-Lee earned her medical degree from Tufts University School of Medicine. She completed her residency in internal medicine and fellowship in nephrology at Thomas Jefferson University in Pennsylvania. She received her bachelor’s degree from Princeton University. Dr. Bidol-Lee speaks fluent Korean. Acupuncture is a 3,000-year-old healing technique that complements conventional medicine. Dr. Sohee Bidol-Lee has years of experience in this treatment that can successfully relieve pain and help with a number of conditions including migraines, insomnia, stress and infertility. It is especially effective with musculoskeletal problems like back and neck pain. As a physician, Dr. Bidol-Lee combines her western medical background with her extensive expertise in acupuncture to help determine whether the ancient Chinese practice is an effective approach for different conditions and illnesses. For patients’ convenience, Dr. Bidol-Lee provides the sessions in her medical office and accepts most insurance. Traditional Chinese medicine is based on an ancient philosophy that energy flows throughout the body along specific pathways, called meridians. If the flow of this energy becomes obstructed, pain and illness can result. Acupuncture unblocks this energy and stimulates the body’s ability to function and heal. Research has shown acupuncture can have positive effects on the cardiovascular, nervous, endocrine, digestive and immune systems. Most patients report feeling very relaxed during and after acupuncture treatments. During the session, they lie on the examining table while precise acu-points in specific areas of the body are stimulated with slender, fine needles about the size of a cat whisker. The needles are placed gently, causing little to no discomfort, and stay in between 5 and 30 minutes, depending on the health goal. The number of treatments differs from person to person. Some people experience dramatic relief in the first treatment while others who have more chronic conditions may need up to two treatments a week for several months. Acupuncture is still defined as alternative medicine and is often met with skepticism by those who have not experienced it. But the science behind this ancient healing shows it to be very successful. "Acupuncture is often thought of as a last resort, when a patient is suffering from symptoms and is desperate for relief," Dr. Bidol-Lee said. "But there is no conflict between acupuncture and conventional medicine. They actually complement each other." Do Asian Americans develop cancer more often than other populations? "Asian Americans do develop gastric (stomach) cancer more often than people in other cultures. Research shows it may be attributed to the bacteria, h.pylori, which can cause ulcers and lead to stomach cancer. I always ask my patients if they are experiencing any symptoms such as feeling full without eating a lot, losing weight, have a dark stool or recurring pain in their stomach. There is a simple breathing test that I can do in the office to determine if a patient has h.pylori, which can indicate further testing is needed." Why is diabetes a concern for the Asian-American population? "Unlike Caucasians, many Asian Americans develop diabetes even though they are not overweight. Their capacity to secrete insulin is often limited for unknown reasons, and they become diabetic at younger ages and when they are in good overall health. I make diabetes testing a part of annual physicals for my patients." Are Asian Americans more likely to have chronic hepatitis? "Almost all Asian countries have a high prevalence of chronic hepatitis B and chronic hepatitis C. Patients with these diseases often have no symptoms, but the consequences of untreated chronic hepatitis can be severe, including developing cirrhosis and liver cancer (hepatocellular carcinoma). Thus, screening for hepatitis B and hepatitis C is very important, and I always check for both at my patients’ annual exam." Our office accepts the following insurances. Please call to verify your insurance coverage before making an appointment.